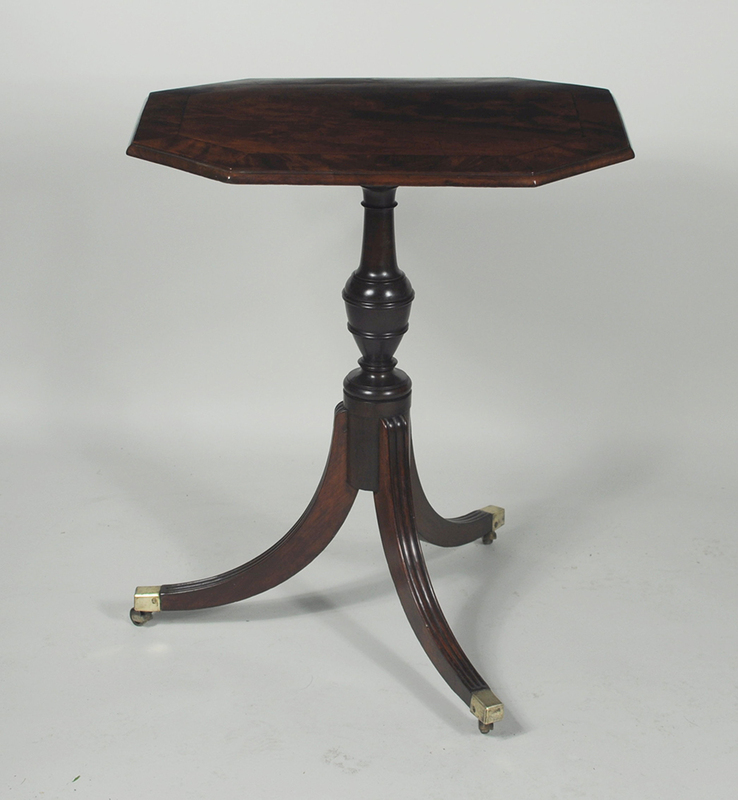 Thomas Schwenke, Inc. 50 Main St. North Woodbury, CT 06878 fedfurn@schwenke.com www.schwenke.com Federal Mahogany Tip Top Table Very fine federal figured mahogany tip top table, with octagonal top with ebony stringing and broad crossbanded edge, set on an urn form column raised on molded sabre legs ending in brass casters. Probably Massachusetts, circa 1800-10. 22" wide, 13" deep, 29" high.